Most knives manufactured by Remington have either a circle style stamp or a straight Line stamp. Remington used the circle stamping system on its higher quality knives, and the straight line stamp on its lesser quality knives. Below you will find pictures of most tang stamps Remington used over the company’s many years of manufacturing. 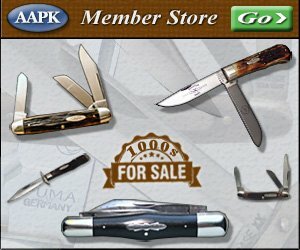 Hopefully you will find this information very useful in determining the age of any given Remington knife. Be sure to stop by our store when you get finished researching so you can shop for Remington pocket knives & add some great vintage & historic items to your collection!